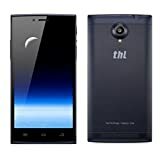 Technology Happy Life (ThL) is a Chinese smartphone brand, part of Shenzhen Hongjiayuan Communication Technology Ltd., which sells its phones directly to customers rather than through a mobile network. This means that they are sold without being locked to a specific data provider (unlocked) which makes their value more than most competitors. As well as selling phones in China, their phones are also sold in many other countries worldwide, including Taiwan, India, European Union, Russia, the United States and Nigeria.